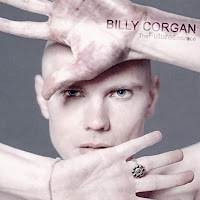 I was one of the few to buy Billy Corgan's solo album TheFutureEmbrace when it was first released in June (?) of 2005. Neither sounding like the dynamic space rock that the original four Smashing Pumpkins brought, nor sounding like the sun-drenched, Roman Catholic rock and roll of Zwan, I instantly disliked TheFutureEmbrace. Needless to say, I only gave the album about one complete spin in my CD player. "All Things Change," being the first track had considerably more play than the rest of the album, as I had aborted further complete listens. The closest that TheFutureEmbrace got to was the Jimmy-less Pumpkins' "arcane night music" experiment Adore, and Adore depressed the hell out of me. I don't think anyone but Billy Corgan will understand Billy Corgan's fascination with electronic music. And I say that with the utmost sycophantic respect, as I've learned a lot about guitar playing and music arranging from Billy Corgan's work from the 1990s. By the way, TheFutureEmbrace shouldn't be confused with FutureSex/LoveSounds, as that particular album had Justin Timberlake bring "SexyBack." The liner notes of Corgan's album had Billy Corgan pose shirtless and showing his birthmark. So no, there is no bringing of "SexyBack" to be found in TheFutureEmbrace. I gave the album another complete spin a few months ago, and while some of the music grew on me, I was thankful that Billy and Jimmy created another album vaguely sounding like the Pumpkins of old (Zeitgeist). At this moment, I'm listening to the album for a third complete spin. (It's not technically a spin, as I've imported it into iTunes.) So far, so good - I must say. Well, maybe not the songs "Sorrows (In Blue)" and "Pretty, Pretty Star." The preceding tracks, however, are the kind of mood music I need for a screenwriting attempt I'm making for Mutiny Universe. So thank you, Billy Corgan...two years later.